We deeply appreciate all the participants who took time and effort to create such a wonderful selection of artwork! There were so many amazing designs and we had a hard time picking 4 designs! After careful consideration, we picked our top four selections! Congratulations to these amazing artists! Congratulations to all the selected contestants and we are grateful for all the participants’ beautiful creativity! 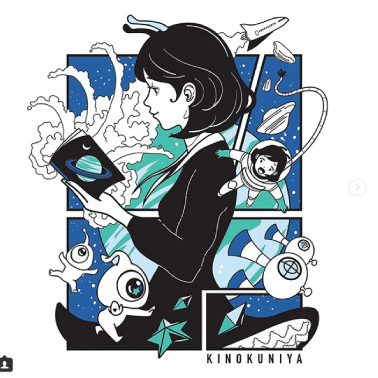 The 2018 Tote Bag Contest theme was “Book Journey.” We held this design contest on Instagram from August 1st to August 31st. Click here for more details.